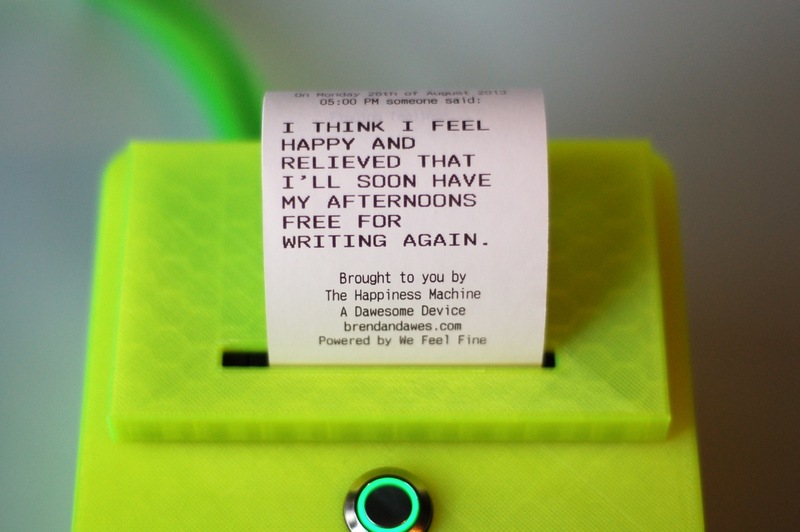 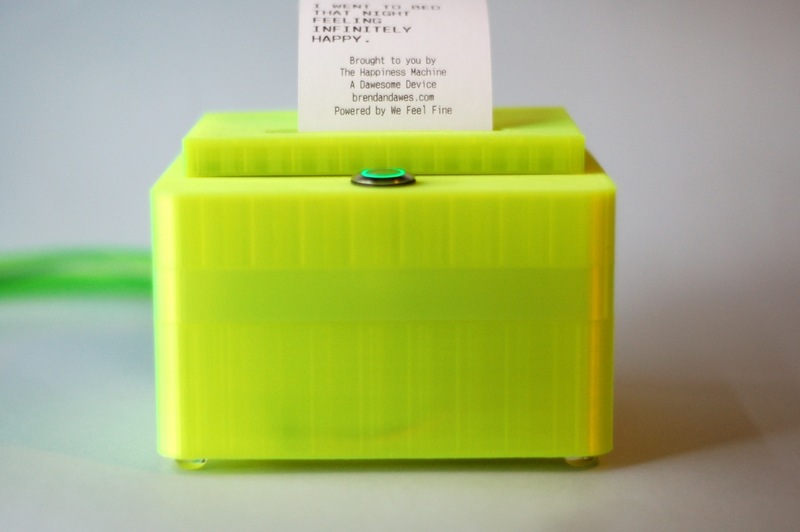 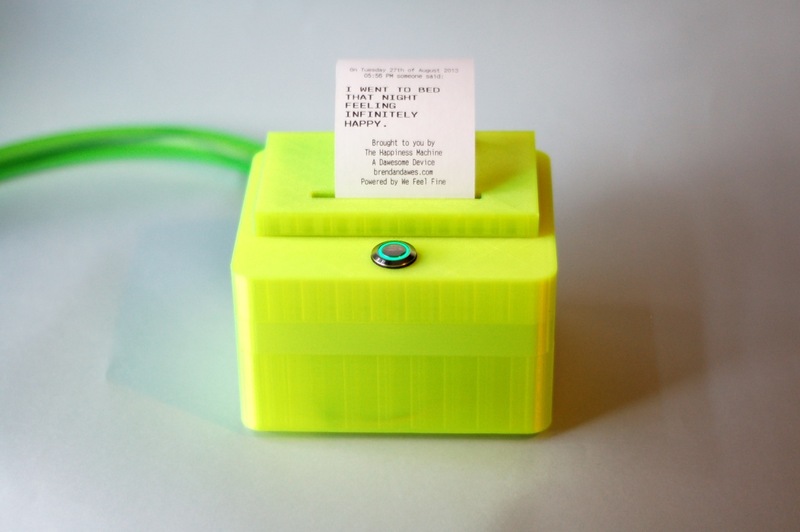 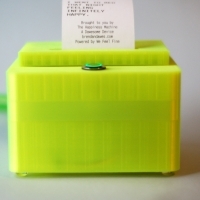 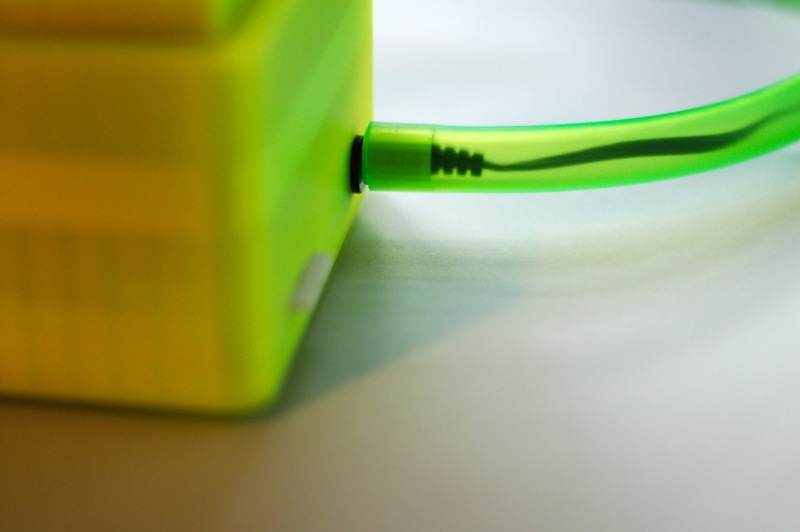 Inspired by a passage from Ray Bradbury's Dandelion Wine, The Happiness Machine is an Internet connected printer that prints random happy thoughts by random people from across the web. 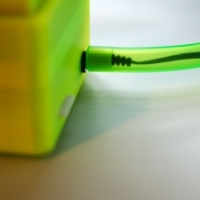 For me the Internet is not a network of machines but a network of people. 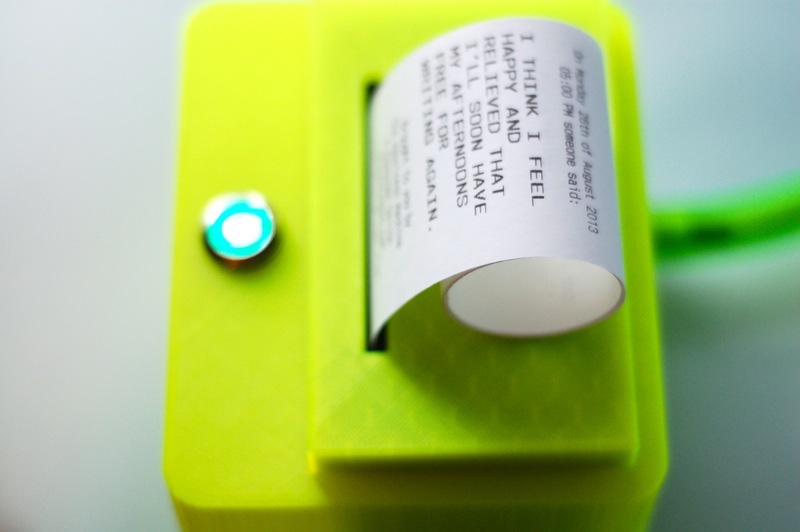 Yet it's all too easy to forget that behind that screen name or that Twitter handle is a real human being. 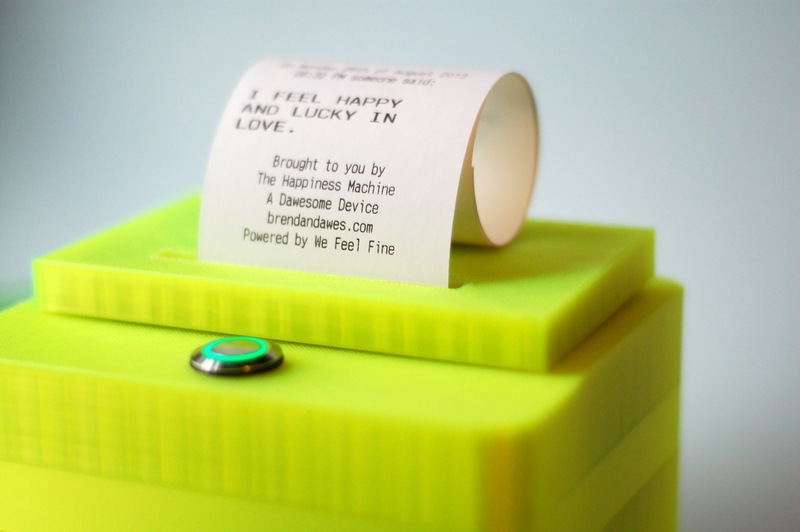 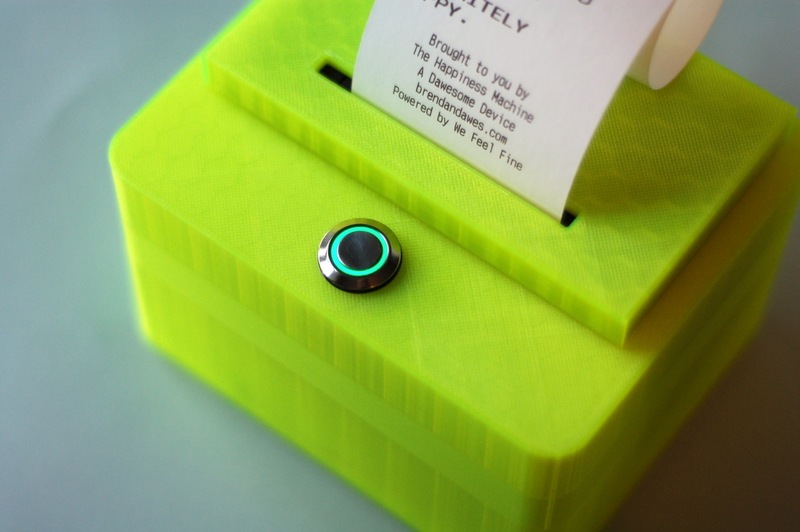 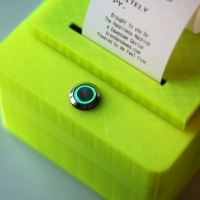 The Happiness Machine, powered by We Feel Fine, is designed to remind us of this fact, presenting random feelings from people we've never met, in a tactile physical form that you can tear-off and take away. 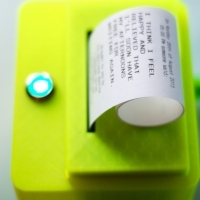 The Happiness Machine was featured in The London Design Festival 2012 as part of Fieldguide, at the Wired Store New York in 2012 and at Dconstruct in 2013.